McLarty Honda is the dealership to turn when you are shopping for a new Honda or quality pre-owned vehicle near Conway and Benton, Arkansas. We are proud to be part of the McLarty group of family owned and operated dealerships that have been operating since 1921, and we are committed to delivering top-tier customer service, low prices and a family-oriented environment. We go over and above your typical dealership experience because we are building customers for life! We invite drivers from nearby Hot Springs, Arkansas to shop and explore our dealership online, then visit us in Little Rock, AR, where our team will cater to your every automotive need! Our full-service Honda dealership is home to the complete lineup of new Honda automobiles, so whether you are after a new Honda CR-V or Civic, you'll find your Honda model of choice available here in an array of competitively-priced options. Conway, AR area new and used car buyers can count on our on-site finance staff to assist with affordable auto loans, and we work with drivers of all credit levels. McLarty Honda is here for you from your initial car search and visit, through the lease or finance process, as well as with any future auto maintenance needs. Remember to shop at McLarty Honda -- The Easy Choice! 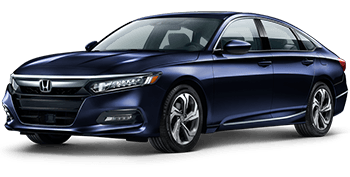 The style and refinement of Honda automobiles come together with advanced safety technologies and new turbocharged engines in the new Honda Accord, available now at McLarty Honda. 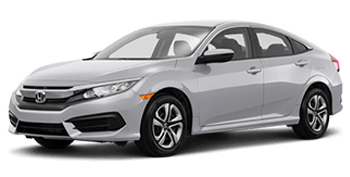 Take to the streets of Little Rock, AR and beyond in one of the exciting new Civic sedan, coupe or hatchback models available, boasting stellar fuel efficiency and striking style. The new Honda CR-V is the compact SUV turning heads with its sporty styling and advanced cabin features. 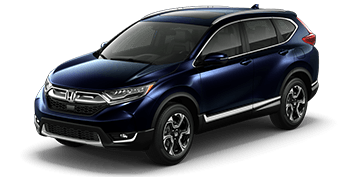 Get into a new 5-passenger CR-V for a test drive today! 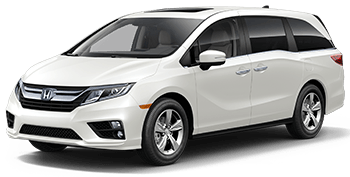 With three rows of seating for eight passengers plus innovative cabin and safety technologies, the new Honda Odyssey minivan looks to continue its role as a family favorite. When you are looking for a quality-built new vehicle in the Little Rock AR area, turn to McLarty Honda and our selection of new Honda automobiles. The Honda lineup has something for every driver, family and lifestyle, from the agile yet versatile Honda Fit and Civic models to the sleek new Honda Accord sedan and family-friendly Odyssey minivan. Drivers from nearby Benton, AR and beyond may be surprised at how affordable a new Honda is to drive, especially when you consider our current Honda lease offers! When you are ready to get into a new Honda or used car here at McLarty Honda, you can get pre-approved for financing within minutes with our finance application. Our in-house finance department welcomes new and used car buyers of varying credit levels and financial backgrounds to apply for auto loans today. Whether you are used car shopping with a less than perfect credit rating or you want to put your healthy credit score to good use on a brand-new Honda Civic, apply today! Don't forget to see what your current car is worth with our convenient online vehicle appraisal form. The parts department at McLarty Honda wants to be your go-to source for all of your Honda parts and at-home auto maintenance needs. We stock common maintenance items like oil filters and air filters as well as new batteries, wiper blades and so much more, all at driver-friendly prices! Reach out to our Honda parts professionals about the genuine Honda accessories you have in mind for your CR-V. Whether you have your new Honda items professionally installed at our service department or at home, you can enjoy our parts specials! A pre-owned Honda certainly makes for a quality used car, whether you opt for a Certified Pre-Owned (CPO) version or any late-model used Honda. Here at McLarty Honda, you'll find an extensive inventory of used cars, SUVs and pickups for sale not only from Honda, but other reputable automakers, too. We aim to give local Arkansas buyers a wide range of used vehicles to shop at a variety of price points. Shopping our pre-owned vehicle selection is easy; browse our inventory online or visit us in Little Rock for a closer look! With a multitude of service bays and highly skilled staff, your vehicle is invited to our Honda service center in Little Rock, AR for prompt and professional auto maintenance. You can count on our Honda factory-trained and ASE Certified technicians for all of your auto service and repair needs. Our service center's expert staff utilizes the latest tools and equipment as well as genuine Honda parts to deliver our top-tier results. If you're visiting for an oil change, then contact us about our Honda express services, which can have you in and out in minutes! Book your service appointment now! At McLarty Honda, we provide local Conway, Benton and Hot Springs, AR drivers with a multitude of online resources which can be utilized before they even arrive at our dealership's showroom or service center. We invite you to shop our new and used cars for sale, apply for financing, learn about your nearby McLarty collision center or order Honda parts -- from wherever you may be in Arkansas. Our team is here to build customers for life, so do not hesitate to reach out to us about any of our automotive services!